Can you make a movie in Canada without government funding? Late last month, Telefilm Canada – a federal crown corporation dedicated to financing and promoting the Canadian film and television industry – formally announced that it would be funding eight English and French-language projects to the tune of $6.2 million. Among the English-language projects being financed by Telefilm are the upcoming comedy “Trailer Park Boys: Don't Legalize It” (which nabbed about $3.5 million of the total funding) and filmmaker Bruce McDonald’s new film “Baby How’d We Ever Get This Way” (which received $350,000 from the organization). The rest of the funding was awarded to several Quebecois films and international co-productions. Typically, government funding represents only a fraction of the total budget for Canadian productions, with the rest usually coming from private producers, movie studios, or other grants. 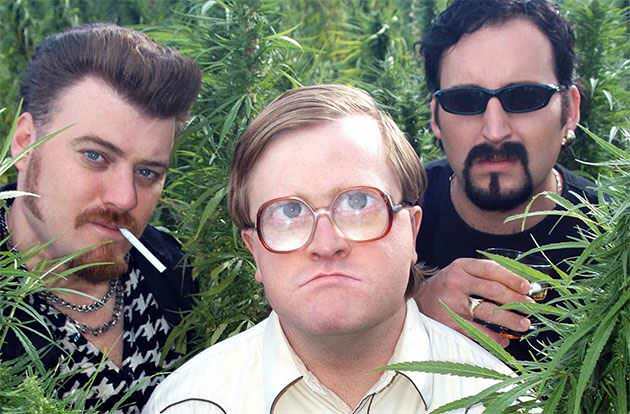 In the case of the third “Trailer Park Boys” movie, the $3.5 million from Telefilm Canada is only about a third of the rumoured $10 million budget. If you’re put off by the idea of your tax dollars being used to fund the next ridiculous caper of Ricky, Julian, and Bubbles, just remember that “Trailer Park Boys” movies aren’t the only projects getting a piece of the pie. Telefilm helped produce dozens of feature films last year, including the Oscar-nominated film “Midnight’s Children” and Xavier Dolan’s well-regarded “Laurence Anyways,” as well as David Cronenberg’s latest (“Cosmopolis”) and the feature film debut of his son Brandon (“Antiviral”). Sure, Telefilm is still funding goofy homegrown fair like “Goon” and “Trailer Park Boys: Countdown to Liquor Day” (without a doubt their biggest box office earners), but they’re also helping Canadian filmmakers earn acclaim, recognition, and awards around the world. Yes, even the Trailer Park Boys, who are surprisingly popular outside of Canada. In the face of recent budget cuts by the federal government (Telefilm had its overall funding reduced by 10 per cent over three years), the organization has put a renewed focus on “stimulating demand for Canadian screen-based content.” The organization has changed over the years from a crown corporation that merely subsidizes Canadian content to one that tries to invest intelligently solid bets. The idea being that a hit movie or two (a hit being a film that earns some awards outside of Canada and hopefully performs reasonably well) might win some of that federal funding back. The 2012 federal budget was approximately $276 billion, but when you consider the tiny percentage of that budget that arts and culture organizations like Telefilm Canada, The National Film Board of Canada, and the CBC comprise (it’s less than 1 per cent), the cultural capital these films are earning abroad is well worth the comparatively small investment. If Telefilm were able to invest more, perhaps that cultural capital would increase. Given the Great White North's comparatively small film market and industry geared towards American productions, public or semi-private funding will likely always need to be part of the movie making equation for Canadian content. But as Telefilm (and the Trailer Park Boys) have aptly demonstrated over the years, that kind of investment is absolutely worthwhile in the long run.